Why coaching for high achievers and how ATSE-2018 will help? In today's hyper competitive world, eminent educationists are compelled to move to higher levels of performance benchmarks. It is increasingly not enough for esteemed institutions to just have a 100% pass result in the board exams as a target. Success in competitive exams such as JEE (main and Advanced), NEET, KVPY, SAT, Olympiads & NTSE is the new parameter of success. Pressure to perform at the board exams coupled with the acute need to excel in competitive exams is creating extremely high levels of stress in students and parents. This has an adverse impact on the overall personality of the student. Hence it is important that the schools look at ways to reduce this stress and enable holistic personality development of the students. We at Aviral Classes believe that School is a best place for overall learning; we cannot substitute schools where students not only get the base of academics but also get the lesson of life along with co-curricular activity which we believe is the most important for every child. 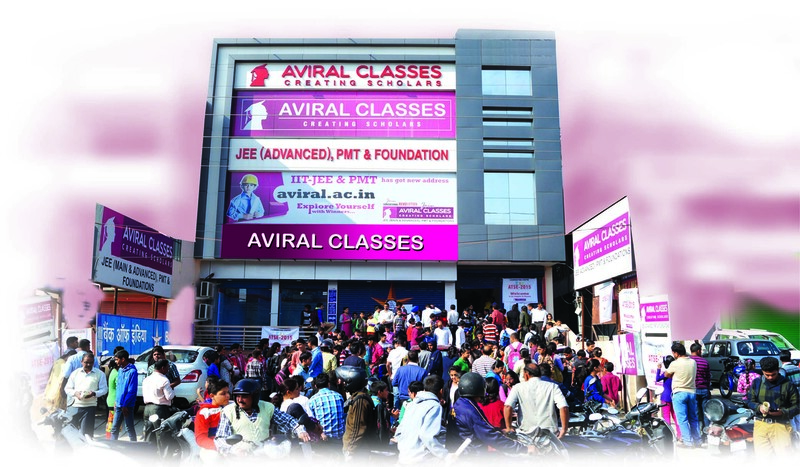 To meet the challenges we at Aviral Classes is synchronizing our study with school going students and trying to reduce their pressure by applying various tricks, tools, technology & research and providing them customize books such as formula books, doubt classes, backlog classes with most stable and experience faculties. These efforts make the coaching expensive which may not possible for every child to afford. The toughest examination after +2 level such as JEE-Main & Advance,BITS-SAT, NEET,State PMTs etc.